The beauty of Paris can be accessible from various angles. You can get the street-level view from the cafes or from the hotels in Paris or while walking down the lanes. Or else you can have a bird’s eye view of this wonderful city from the top of the Eiffel tower. 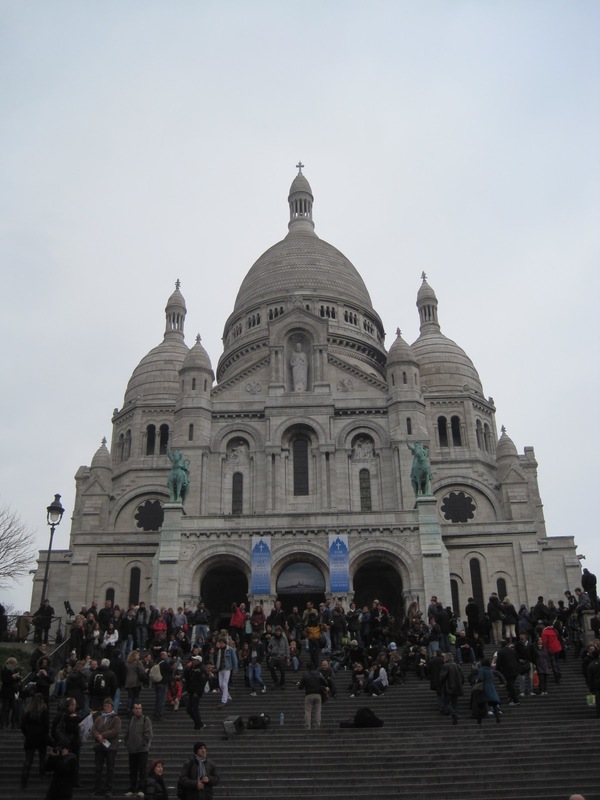 Or one can go to the Basilica of the Sacre-Coeur. Butte Montmartre at Basilica of Sacre-Coeur offers the tourists one of the finest views of Paris. Montmartre is as old world and charming as the rest parts of Paris, but it is less crowded and quieter than more tourist-infested areas of this beautiful city. The Sacre-Coeur is especially famous among the religious tourists for Perpetual Adoration of this Blessed Sacrament. So, it is very hard to not feel like being in the heaven while you are visiting the Sacre-Coeur, the white castle perched atop the Montmartre in the sky. The French Government has constructed the Sacre-Coeur or Sacred Heart Basilica in the year 1873 as the symbol of the return of the self-confidence. Every year numerous tourists come to visit Sacre-Coeur to appreciate the wonderful view from the top of the 271-foot-high dome. It is the second highest point in this city after Eiffel Tower. If you choose to skip the spiral staircase, the view from the front steps is still worth of the trip. The Basilica was set up as the memorial to those 58,000 French soldiers who were killed at the time of Franco-Prussian War and it took another 46 years to put up. Spend some quality time inside Basilica. Stare at the huge golden mosaic located high above choir. Built up in the year 1922, by Luc-Olivier Merson the “Christ in Majesty” portrays Christ with outstretched arms and golden heart. It is surrounded by several figures like Joan of Arc, St. Michael and Virgin Mary. This mosaic is counted on as one of the greatest mosaics of this time. Besides, there are some continual vaulted arches located in the basilica’s crypt, all the bronze doors of the porticos. All of these are well decorated with various Biblical scenes. The La Savoyarde hangs from the 262 foot-high campanile of Basilica-which is one of the heaviest bells of the World, weighing around 19 tons. Apart from these popular tourist destinations, there are much more to see in Sacre-Coeur like the Façade, the Funicular, The Dome etc which the tourists can explore while staying in the Paris hotels and availing the sightseeing facility. This entry was posted in things to do in Paris and tagged franco prussian war, Paris hotels, paris montmartre, Sacre-Coeur, travel. Bookmark the permalink.